Light precipitation until this afternoon. The only town in New Hampshire that actually has islands in the Atlantic that belong to it (Isles of Shoals), Rye has eight scenic miles of coastline, a large and well maintained state park and loads of shore side and water-related activities to entertain visitors. According to the year 2000 Census, Rye has 5,182 permanent residents, though summer populations can swell to three times that amount. Many people visit Rye to explore its old Colonial homes, dine on local fresh seafood harvests at the numerous waterfront restaurants or just to tie their boat up for the night enjoying a nights rest in the peaceful and well-protected harbor. 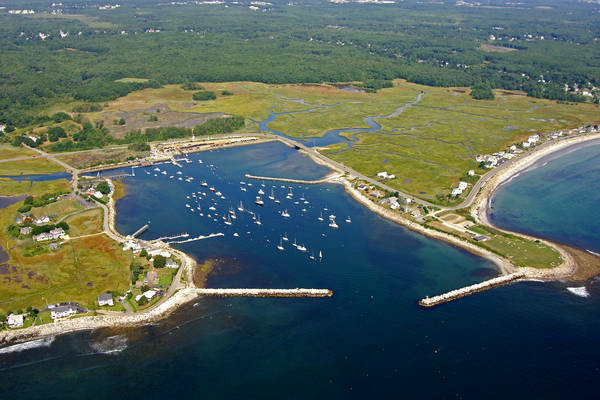 The town of Rye was named after Rye, England, but was technically first settled as the Pannaway plantation in 1632. English and European fishermen harvested fish off the nearby Isles of shoals and supplied their salted and dried catches to arriving settlers. A little-known fact is that Rye was a receiving station for the first transatlantic cable, which was laid in 1874. 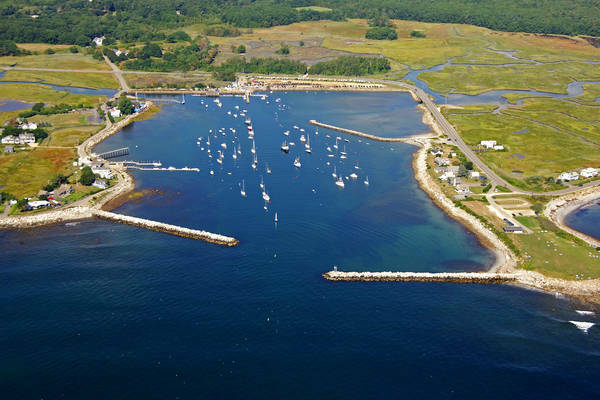 Rye Harbor lies within two stone breakwaters with seven- to eight-foot depths inside. 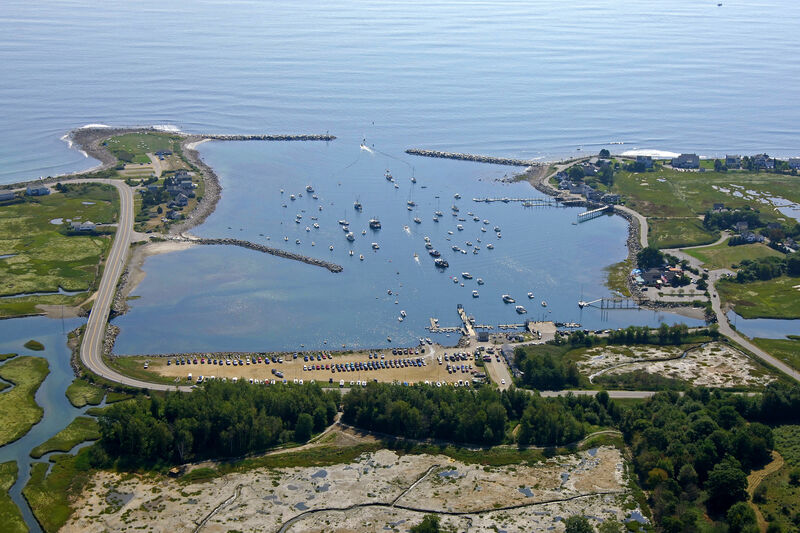 Many anchored and moored boats line the harbor and a public launch and dock facility are located at the head of the harbor. Pick up the Rye Harbor Morse A buoy on approach, and then follow the green buoys inside the protected breakwaters. 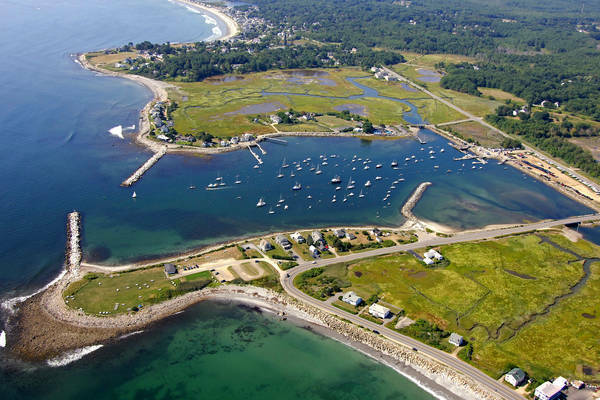 With Odiorne Point State Park, Wallis Sands State Beach, Jenness State Beach and Rye Harbor State Park all close by, many visitors take the time to walk the beach, enjoy nature trails or just relax and watch the tide go by. Rye Harbor State Park encompasses a large are just north of the harbor area in Awcomin Marsh. Hiking and bike trails are available in all parks. A small entrance fee may be required at some facilities. Whale watching and fishing parties depart the harbor for daily excursions. Check the local harbor facilities for schedules and departure times. Pease International Tradeport Airport is but a scant 6 miles from Rye and offers limited commercial and charter service. Manchester Airport is about a half-hour drive from Rye, and connecting ground transportation can be arranged by contacting the airport. Logan International is about an hour away from Rye and can be reached via Trailways Bus Service. Check Logans Web site for details. Taxicab service is limited in Rye, and most visitors walk or bicycle the town when out for exploration or provisioning activities. No reviews yet! 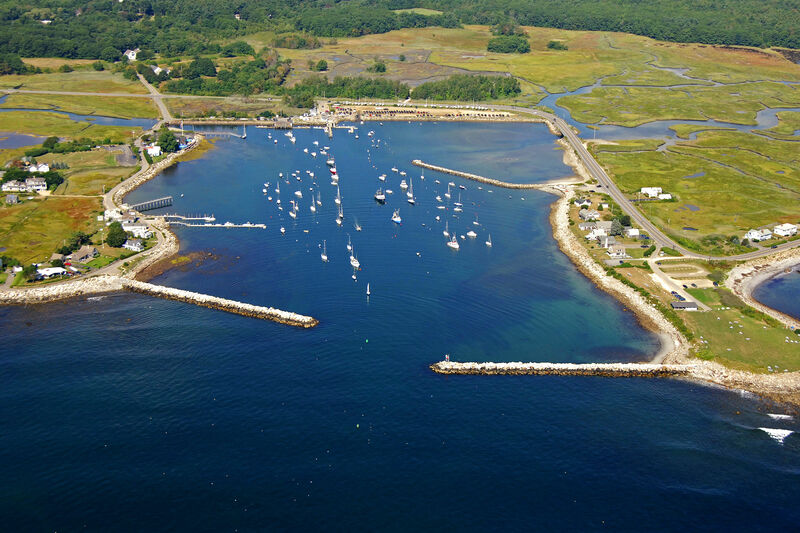 Be the first to write a review of Rye Harbor.